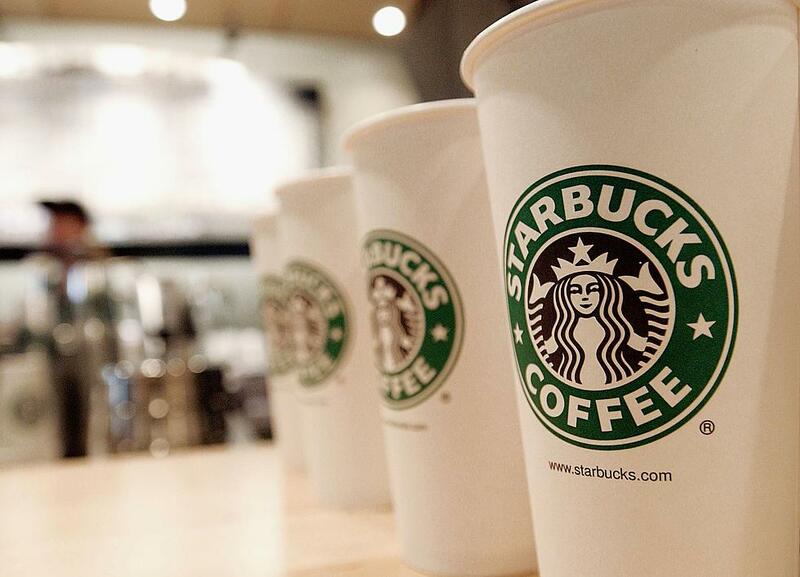 According to the leaked memo, Starbucks' Pumpkin Spice Lattes are returning on August 28. It is burning-hot August. The dazzling orange sun is scorching sidewalks white-hot as sinews of sweat throb under the merciless gaze of summer's piercing nuclear heat. There is not a single cloud in the cerulean sky, and no one's felt a trace of bitter wind in weeks -- only the parching sickly-stillness of late summer's humidity. The branches of each elegant tree are fully-fleshed with leaves of the most brilliant green; not a one has lost its vigor yet and turned crisp to fall for the winter. But that is in reality, my friends. And if anything has ever defied the constraints of reality, it would be coffee. Apparently, according to the wise elite gurus who surely sit in their boardrooms at mahogany tables, grappling with the great weight of the world's most impactful decisions, it is no longer summer, anymore. These omniscient sages who cast the lots of fate have decreed that summer has gone on long enough. Also, there are not that many marketable summer drinks. So now, you are thirsty. You are thirsty for a Pumpkin Spice Latte, and you can order one on August 28. Seem too good (or too weird) to be true? This information is 100 percent credible. Like all important pieces of news in modern-day America, this information was obtained in a highly-classified leak. Or just a regular leak. One cannot be sure how the hierarchy of "leaks" is delineated. Regardless, that's how we know. The information was obtained by Business Insider when they allegedly got hold of an internal memo detailing upcoming menu changes for the corporate coffee chain. 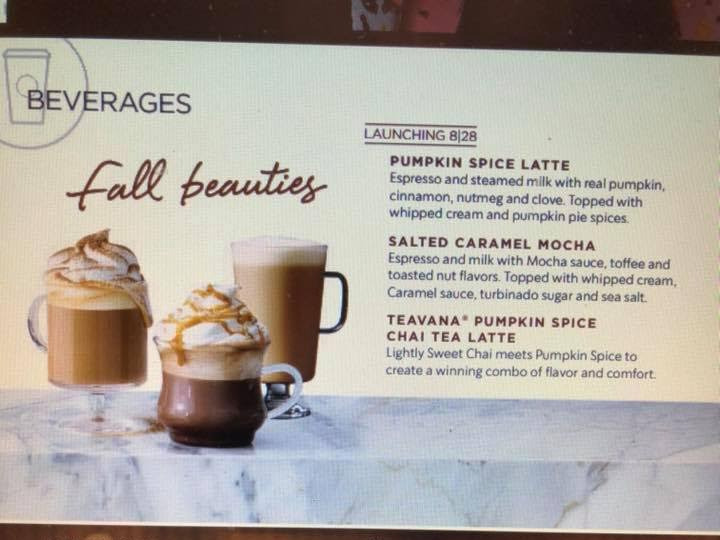 The memo, according to Business Insider, says that the Salted Caramel Mocha Latte and the Teavana Pumpkin Spice Chai Tea Latte will also be making a return on August 28 as well. 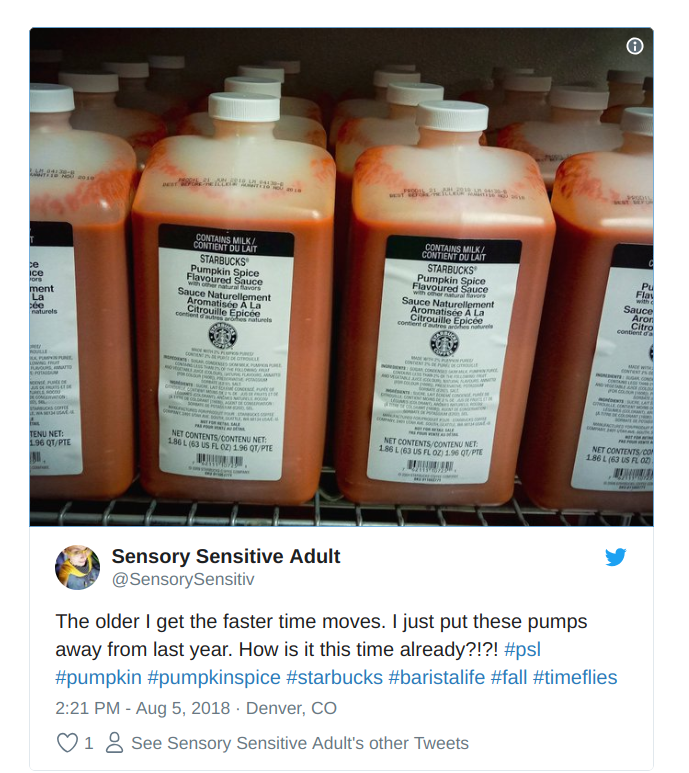 The official Pumpkin Spice Latte Twitter account has yet to make a statement. 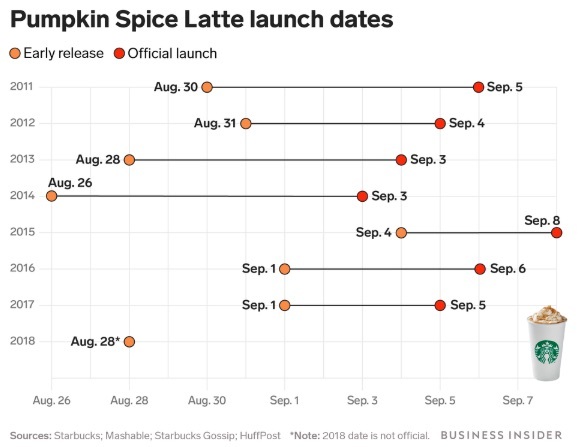 August 28 would be the earliest release date for Pumpkin Spice Lattes in years. Starbucks official spokespeople, however, are not so sure. After repeated inquiries from news agencies, Starbucks responded to Metro New York Lifestyle in a statement. Starbucks representatives answered via email, "Thanks for reaching out. Our pumpkins aren’t ready to make their handcrafted PSL debut yet. We’ll have more news to share soon." Starbucks says no, but leaked documents and social media say yes -- what do you say? Do you believe the #PSLGate rumors about an August 28 release? Do you work at Starbucks, and have you seen supplies in your stores yet? Share what you know with us in the comments.